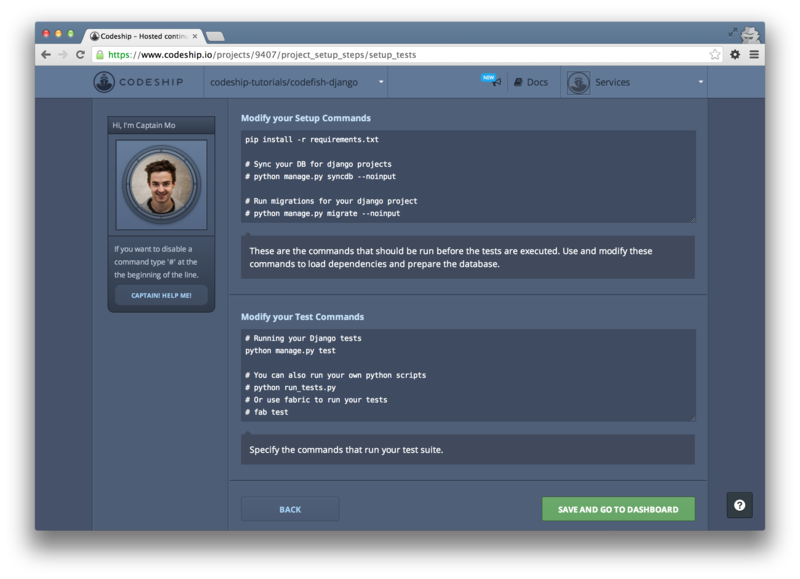 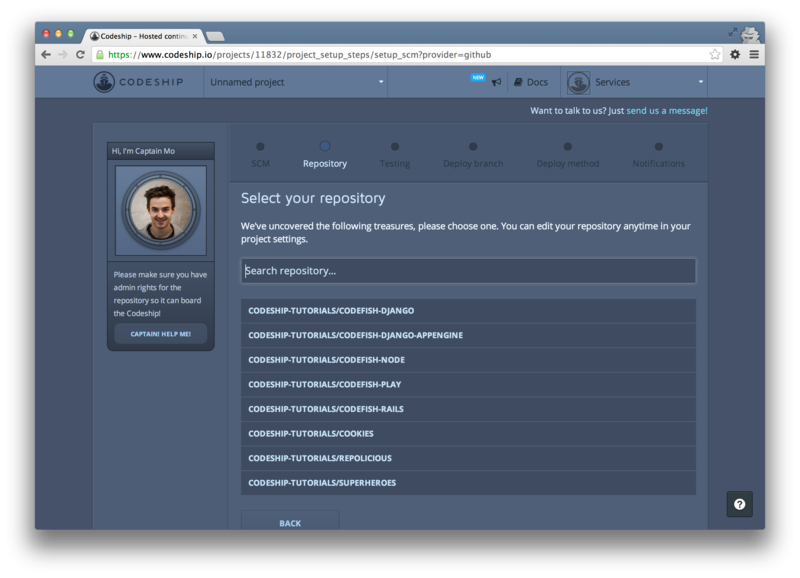 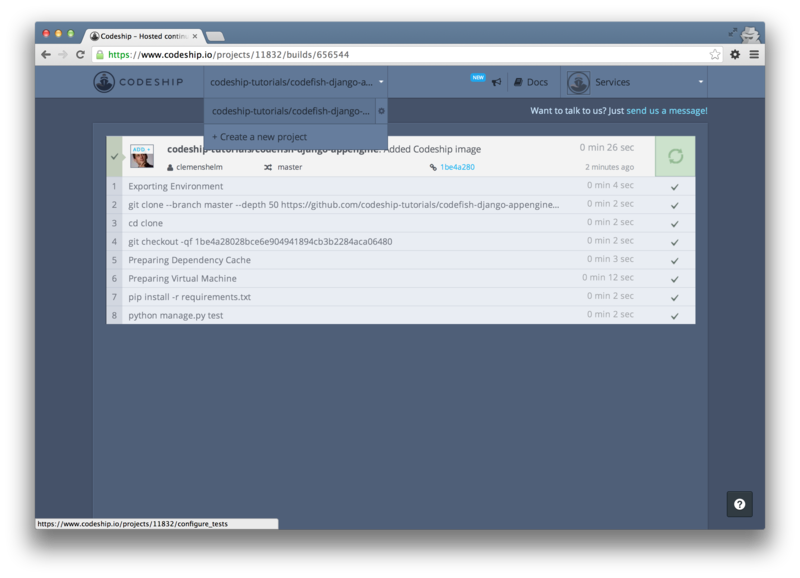 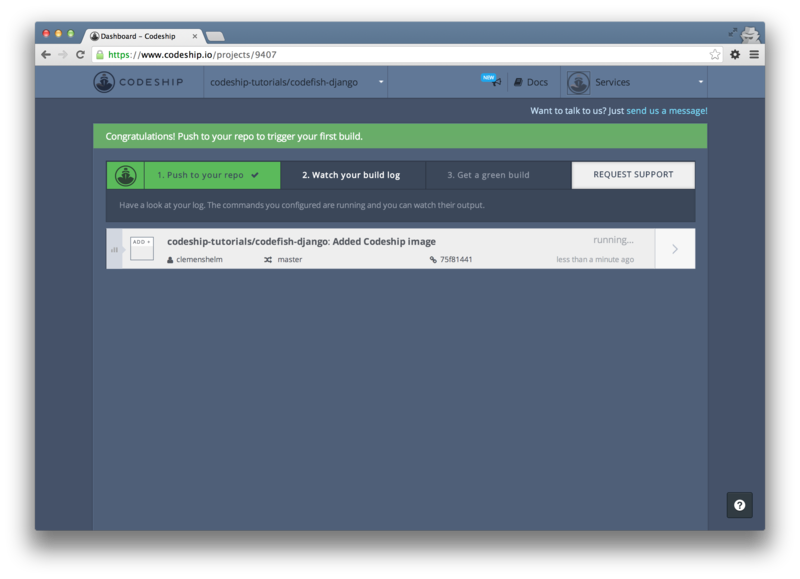 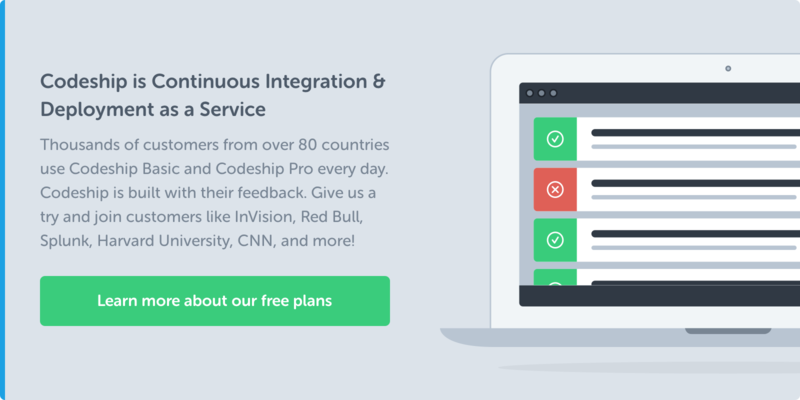 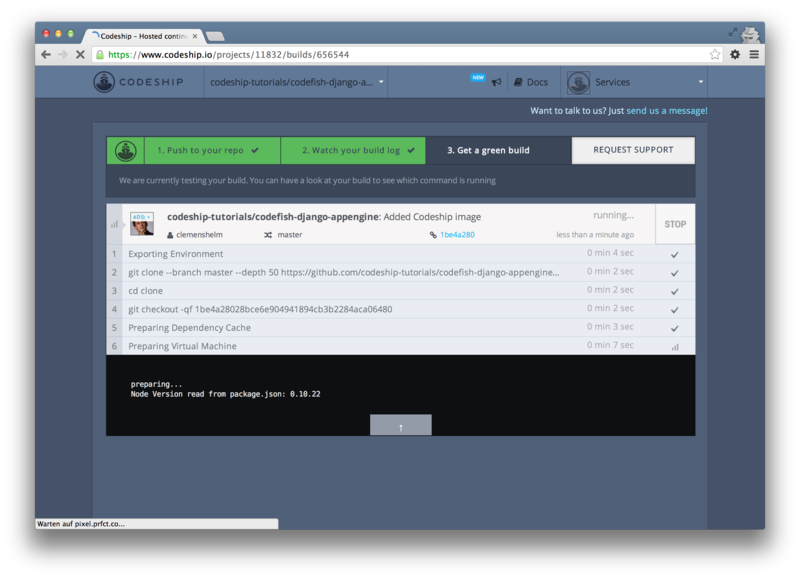 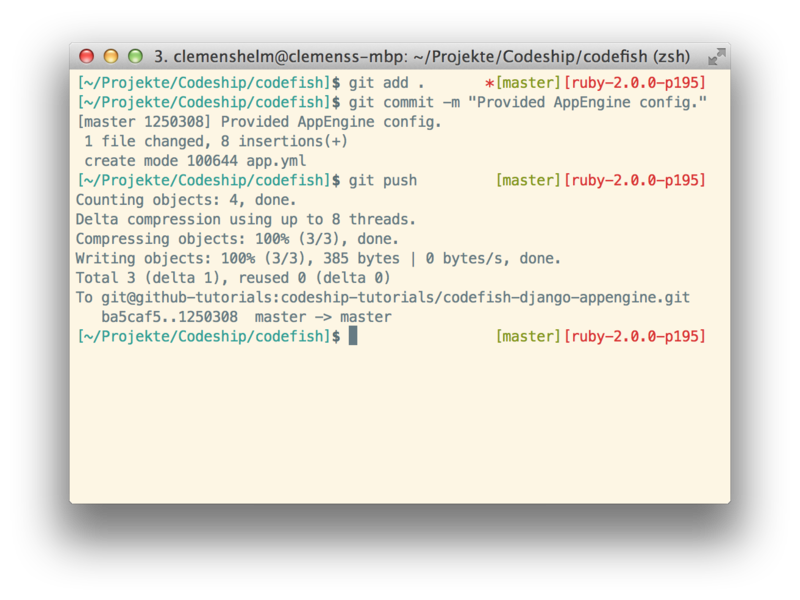 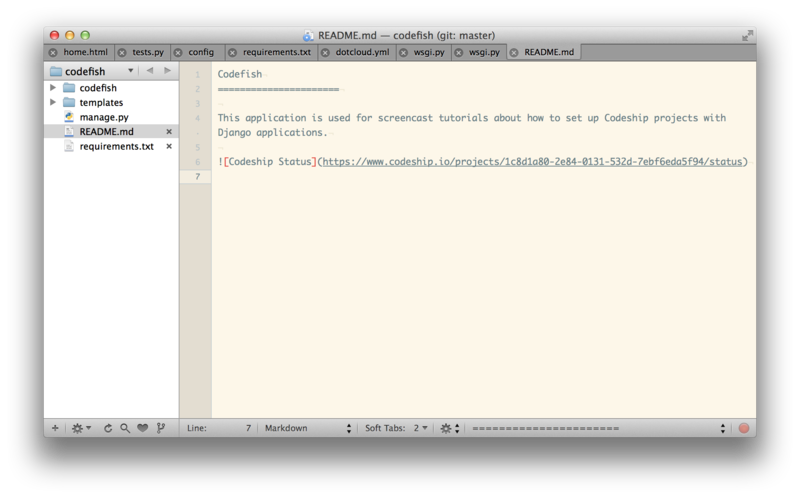 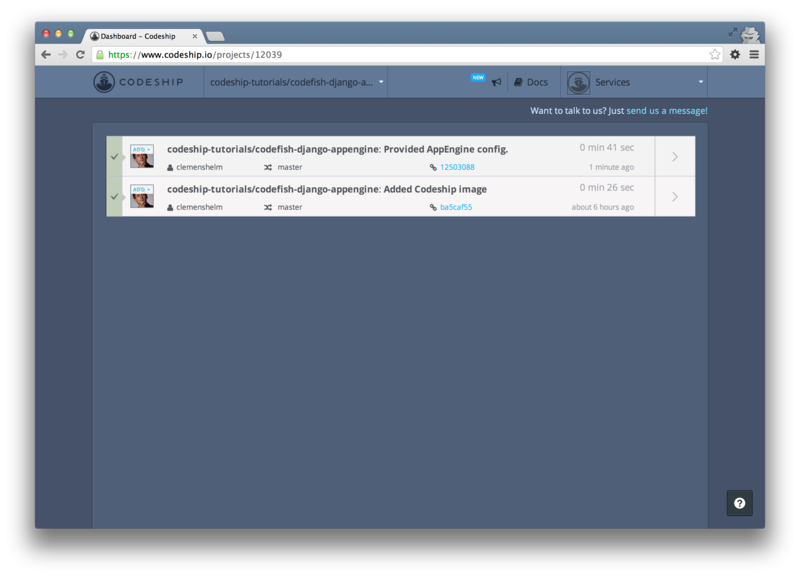 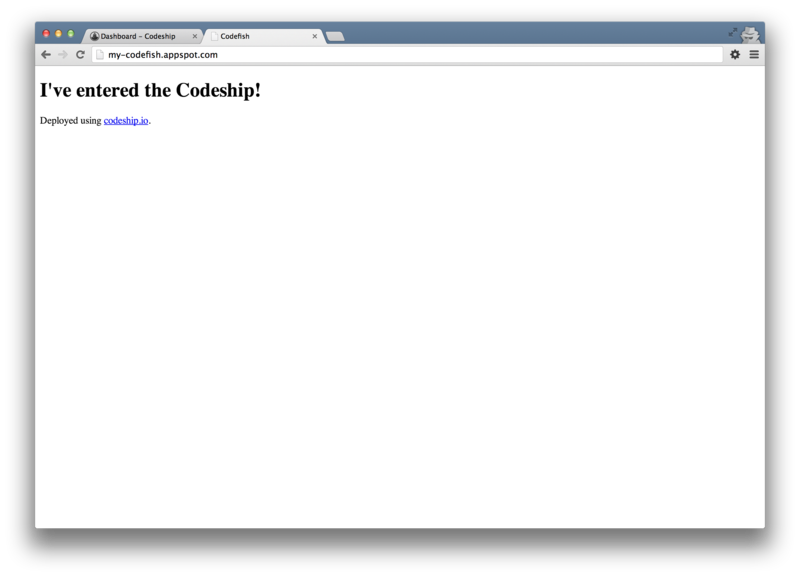 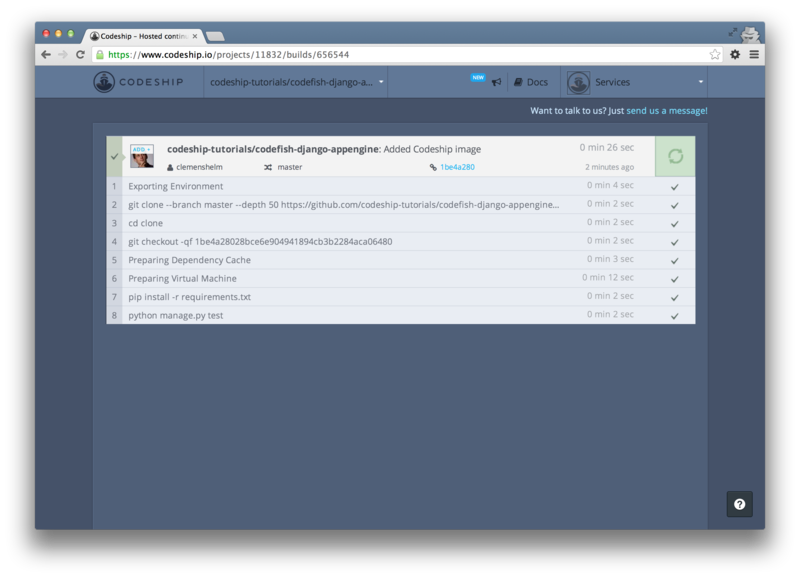 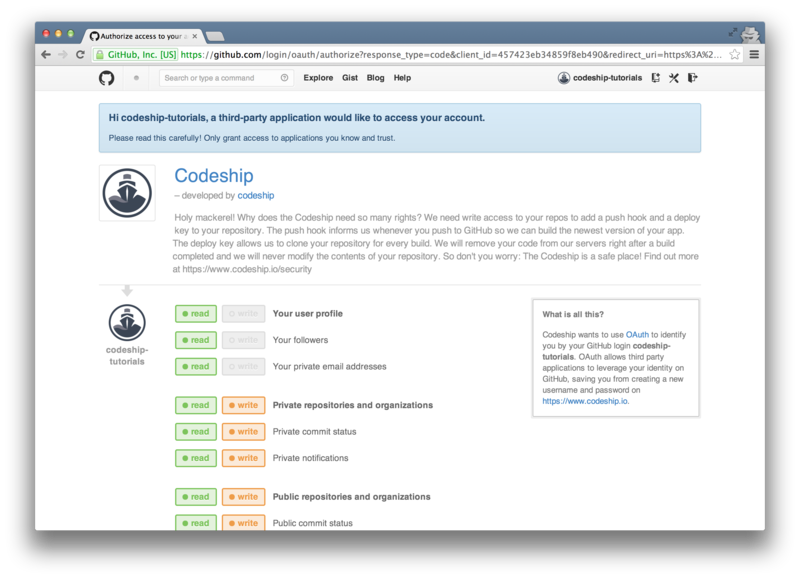 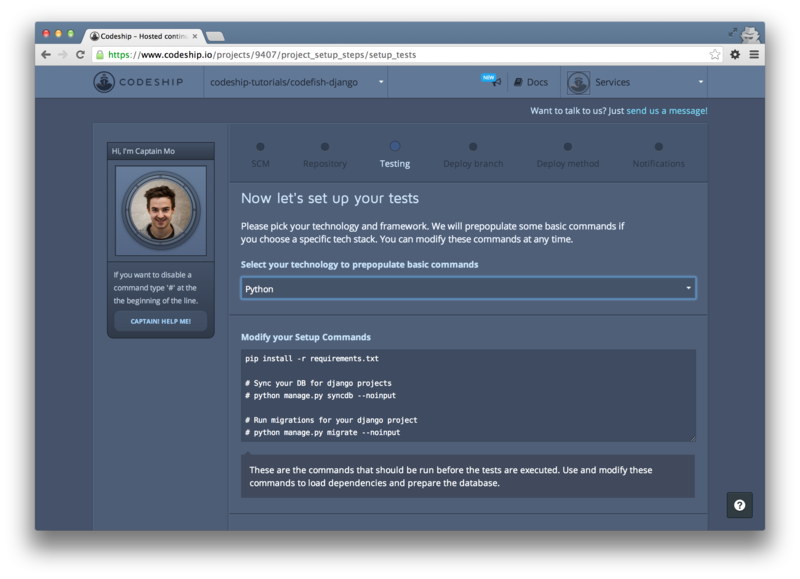 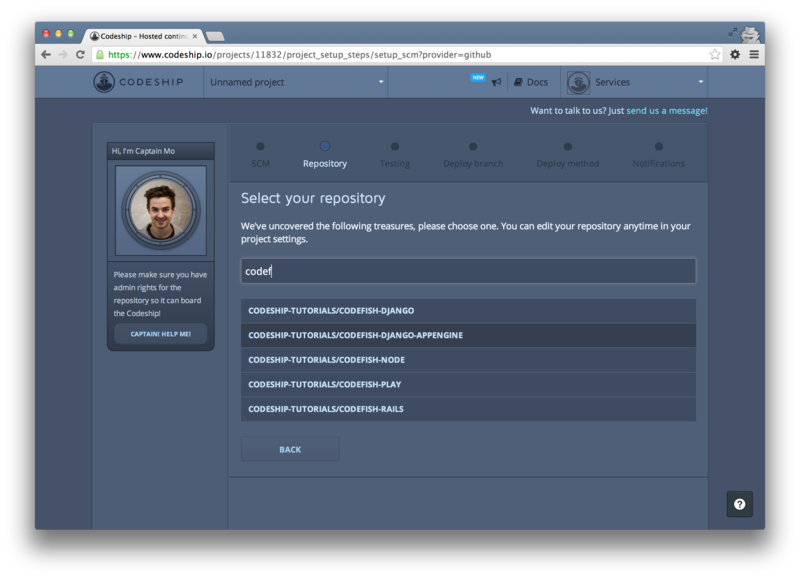 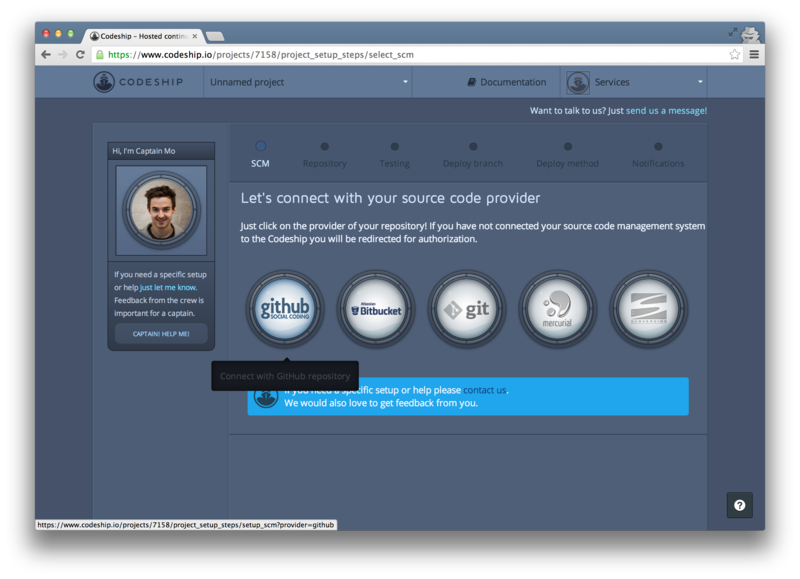 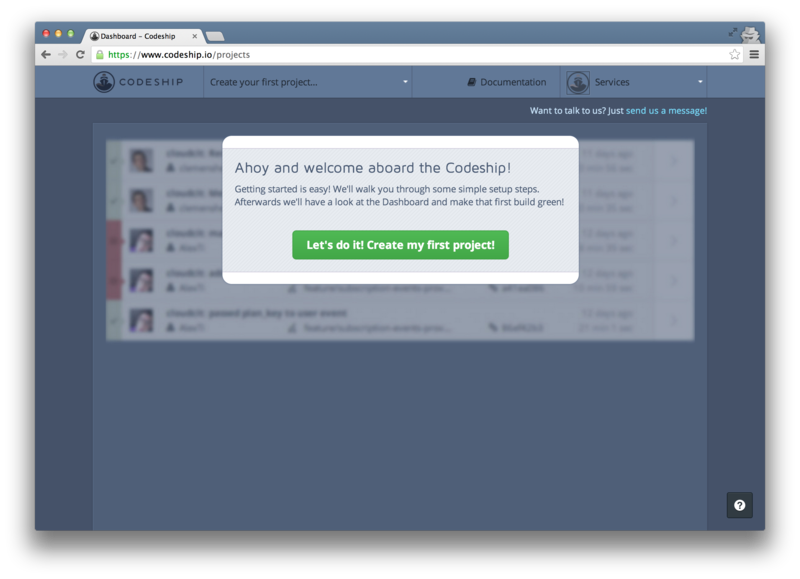 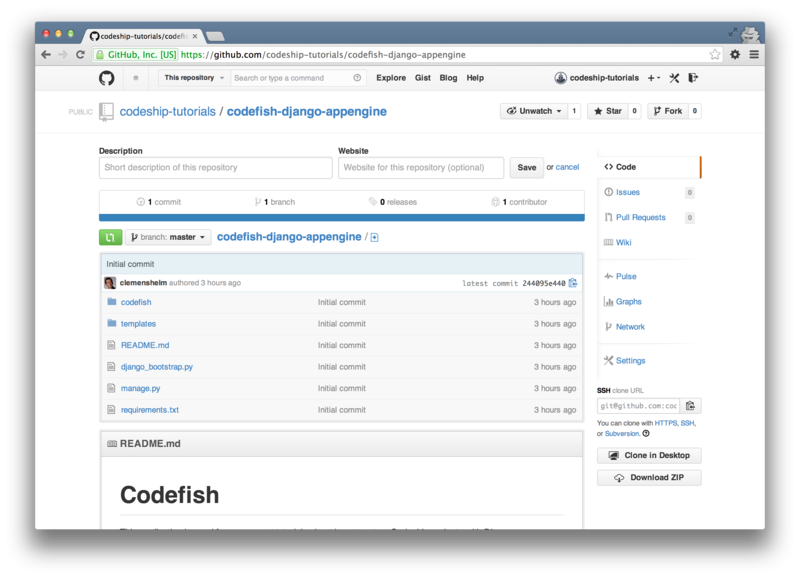 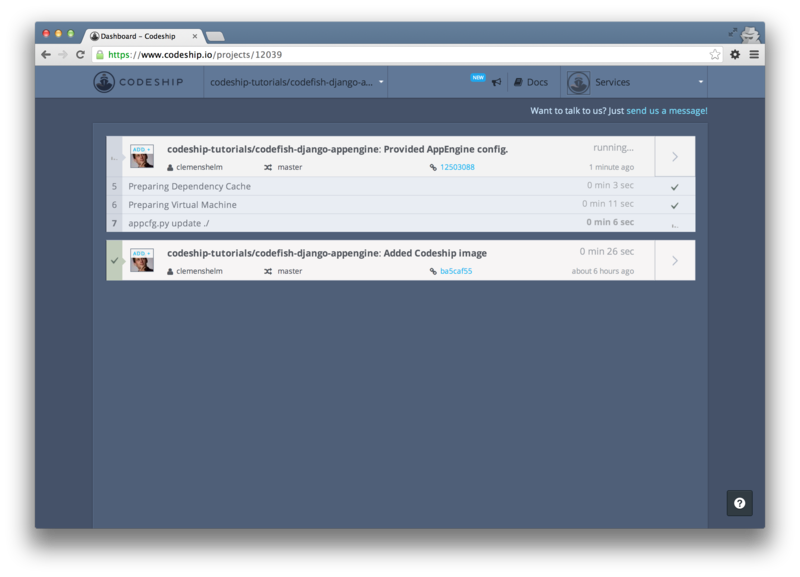 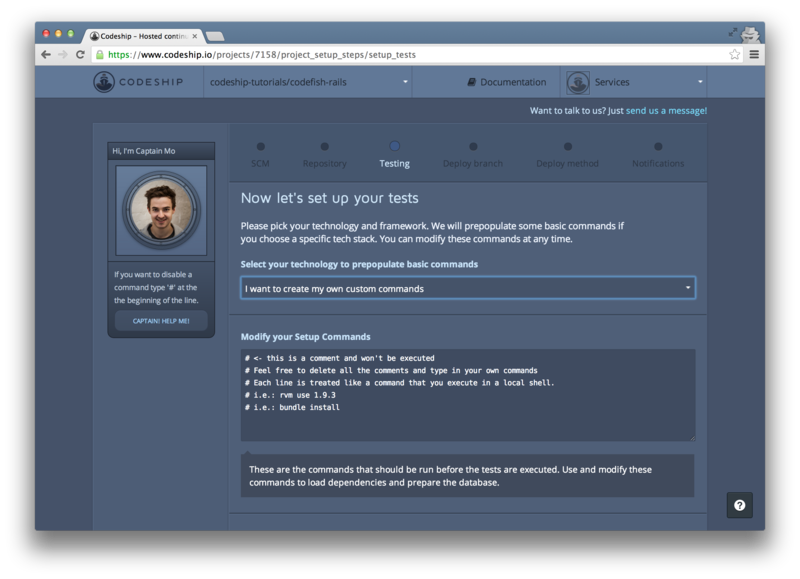 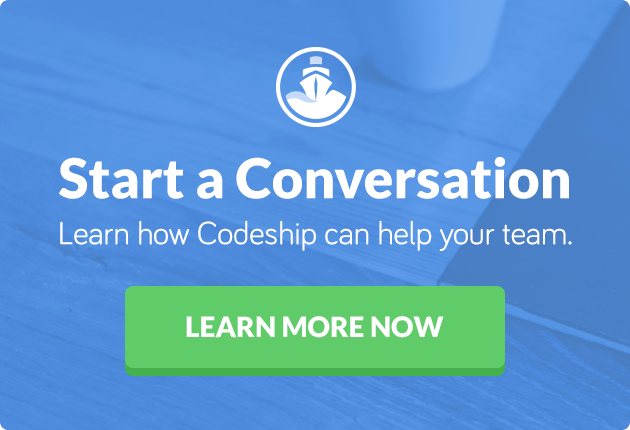 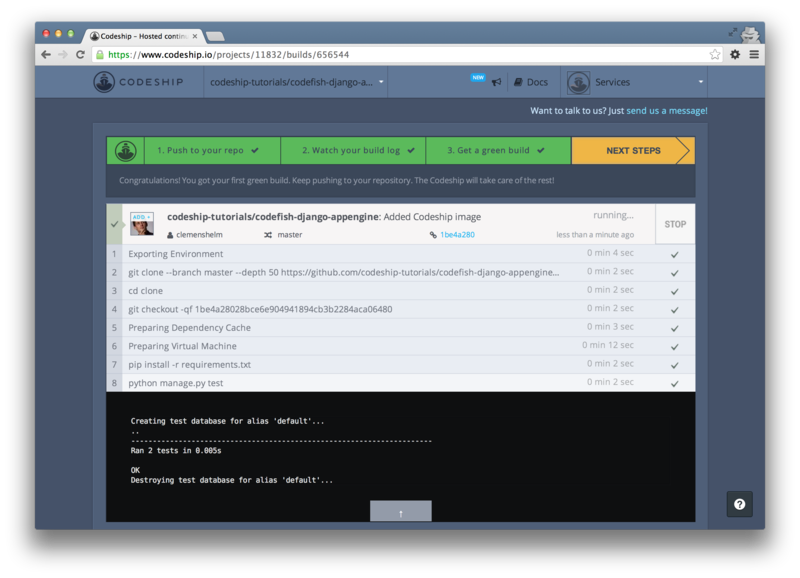 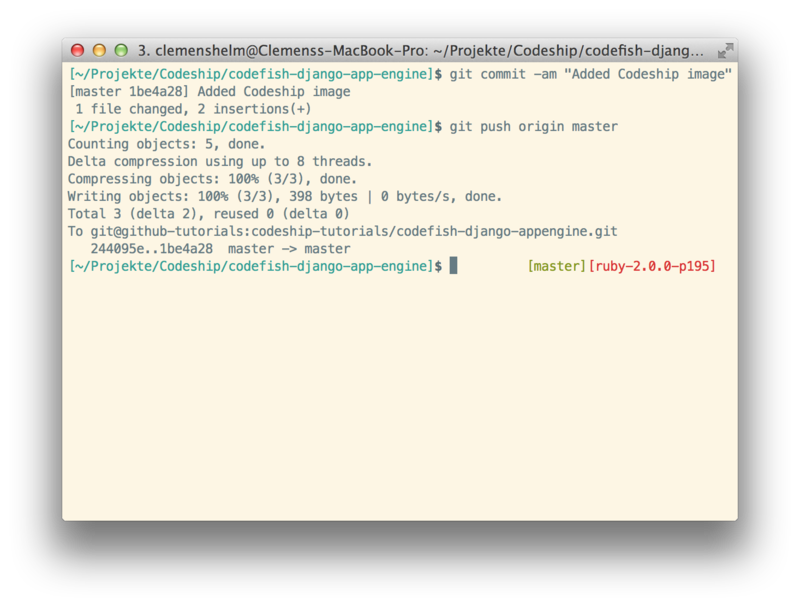 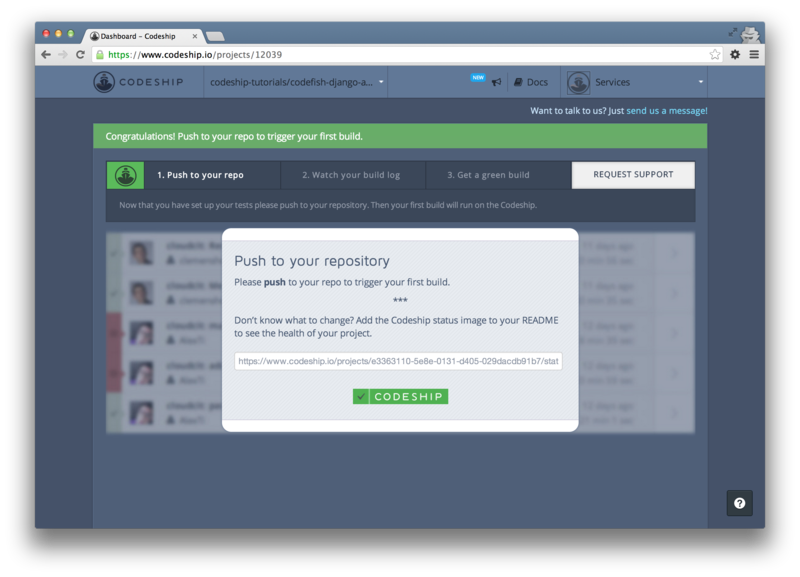 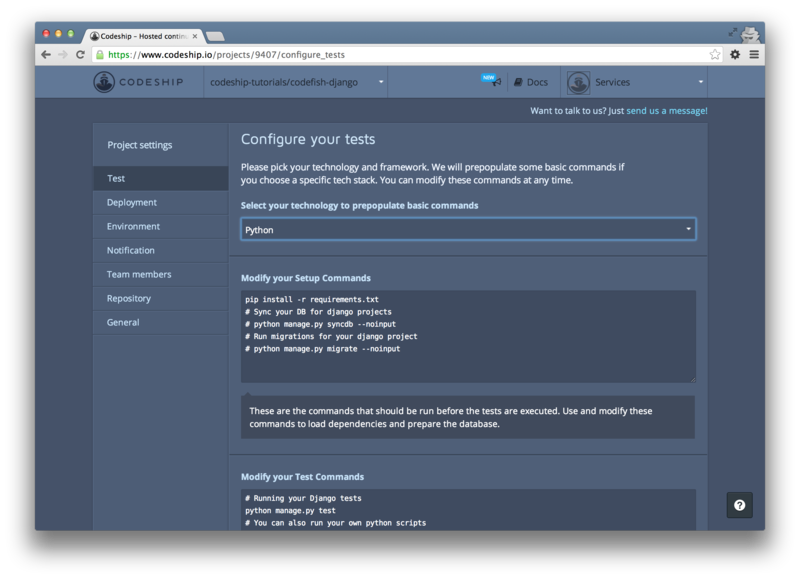 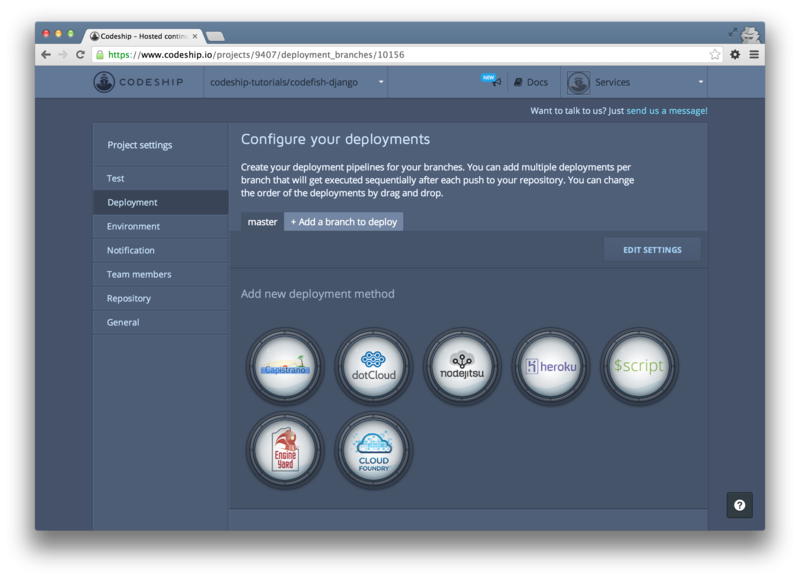 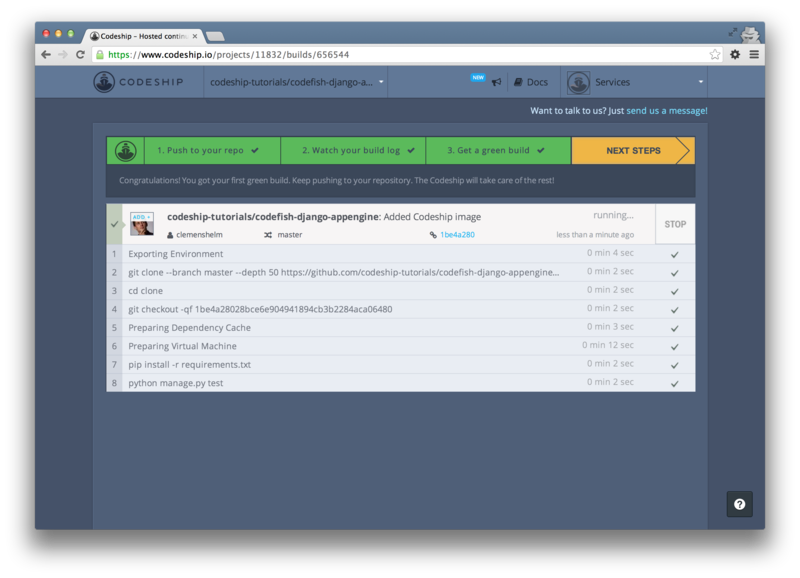 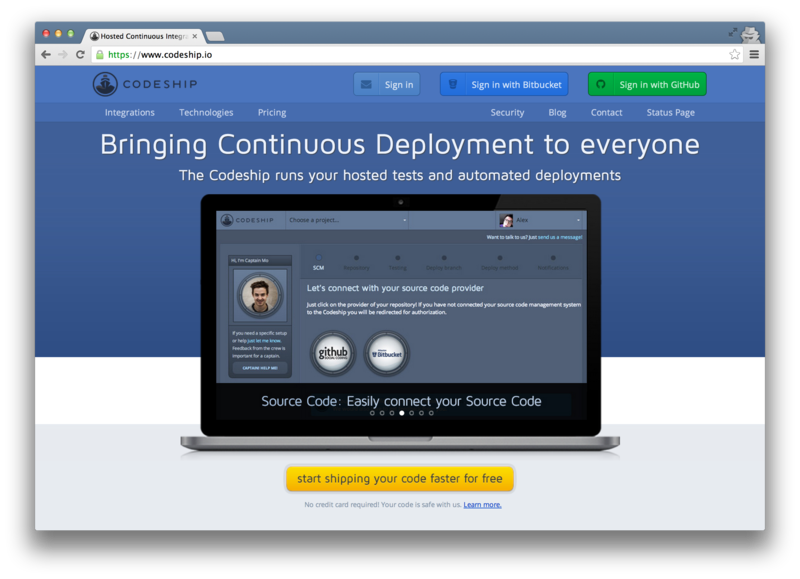 In this blog post we’re gonna deploy a Django application from a GitHub repository to App Engine using Codeship. 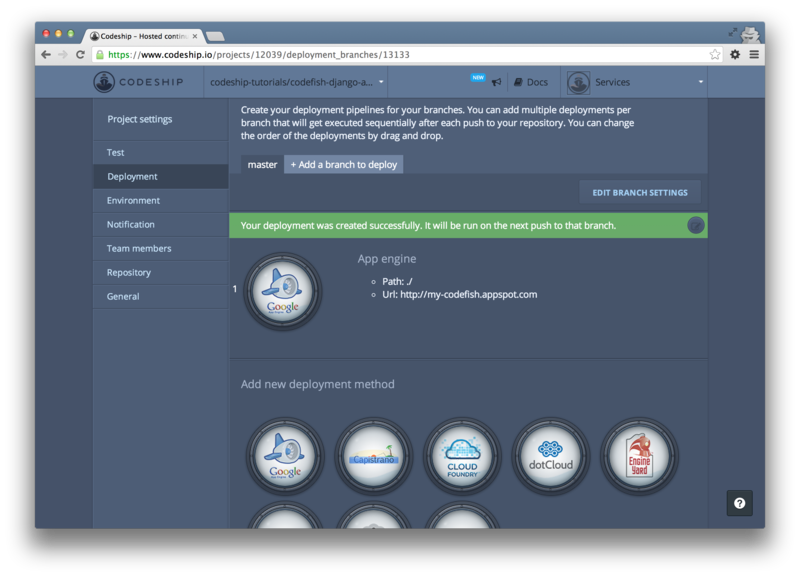 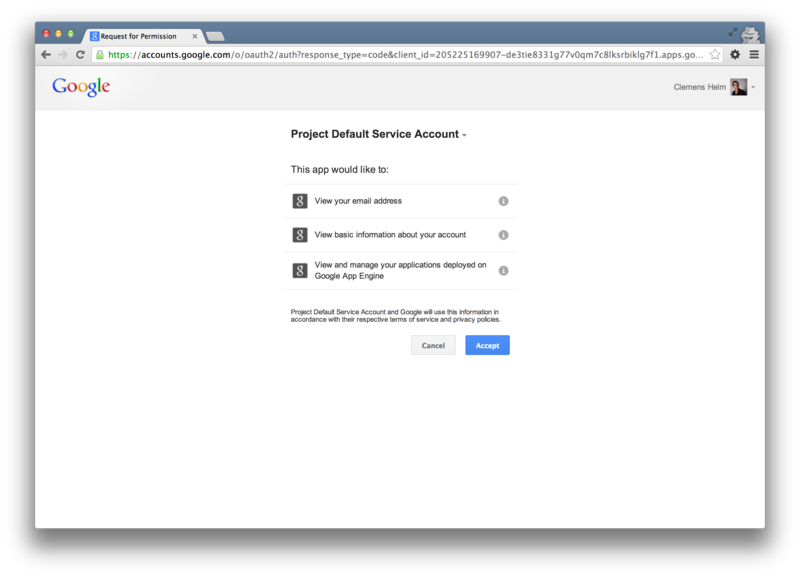 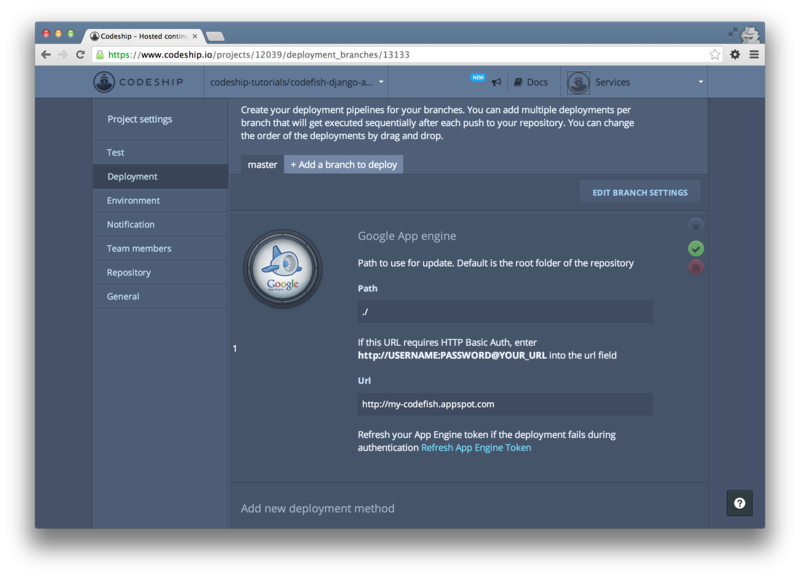 Before we get started you might also want to take a short look at our documentation article on deployment to Google App Engine. 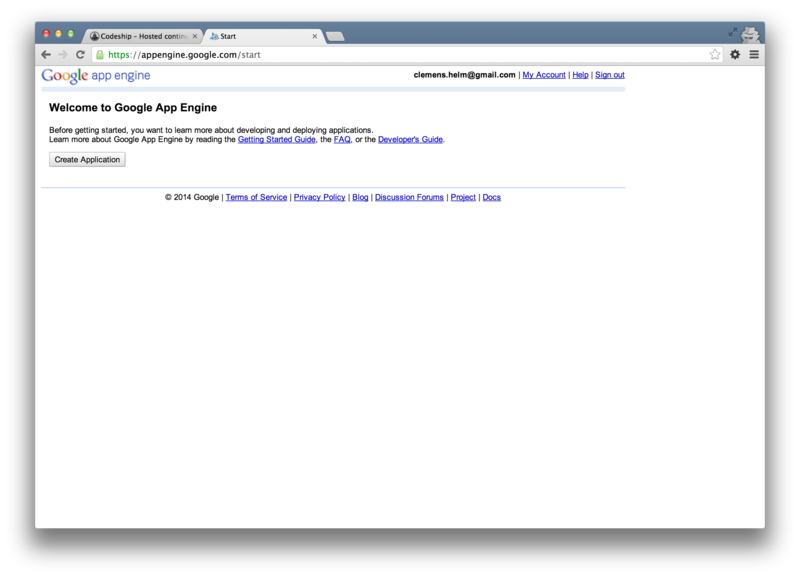 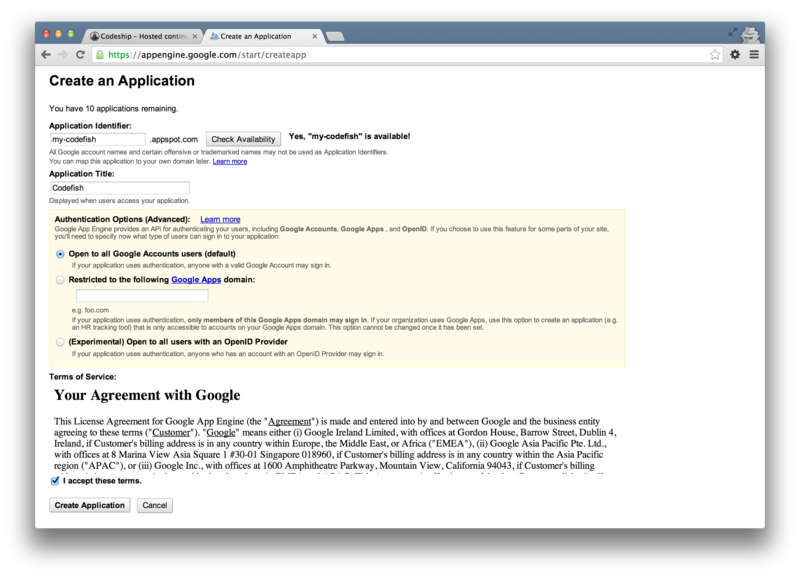 App engine also requires a version and an api_version parameter, which you can both set to “1”. 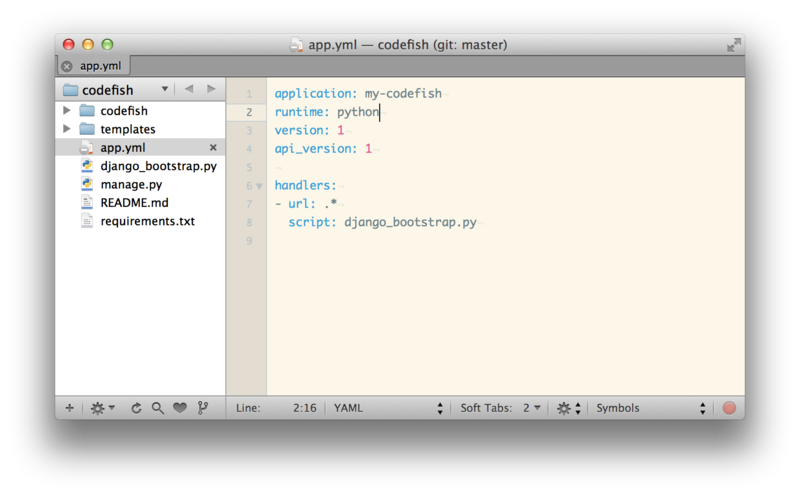 And finally add a handler for all urls to be handled by your app boot script, in my case django_bootstrap.py.